The Saint Louis FC soccer team takes on the Ottawa Fury FC at the World Wide Technology Soccer Park in Fenton, Missouri. See website for more information and to purchase tickets. The Saint Louis FC is the newest men's professional soccer franchise to join the USL Professional Division (USL PRO). 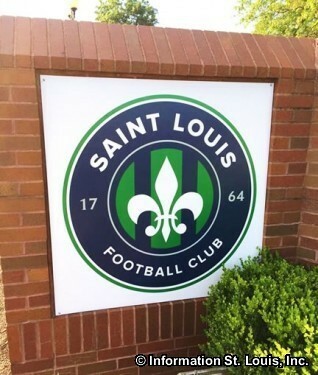 The Saint Louis FC began playing soccer in 2015 at its home field, the World Wide Technology Soccer Park in Fenton, Missouri. The playing season runs from March through October. Directions: World Wide Technology Soccer Park is home field and is located on Soccer Park Road in Fenton, Missouri. From Interstate 44, take N Highway Drive to Soccer Park; or S Highway Drive to left on Yarnell, then left on Soccer Park.